Parking is dumb. It cost $60 to park near the stadium where the fight was being held, a price that decreased in increments of $5 as you moved farther and farther away. I parked in the most remote lot I could find (were I to guess, it was somewhere between 15 and 18 miles away) and it was still $25. Part of the reason I chose that lot was because I’m cheap, but mostly it was out of necessity. I’d brought only $30 in cash. I’d assumed that $30 was going to be enough to park and also get nachos. It wasn’t. And let me tell you, thinking you’re going to be eating nachos and then not being able to eat nachos is the saddest thing you can ever experience in your life. I had media credentials for the fight, which is always cool, but also always not cool. The cool thing is you get to sit very close to whatever it is you’re covering. The not cool thing is that even though you’re sitting very close and have a very good view, you’re not supposed to cheer or make noise. I’m not always great at that. When Canelo knocked Kirkland out with a very violent, very exhilarating punch, I was so excited that I shoved the man seated next to me and loudly shouted, “OHHHHHH!” He was nice, though. 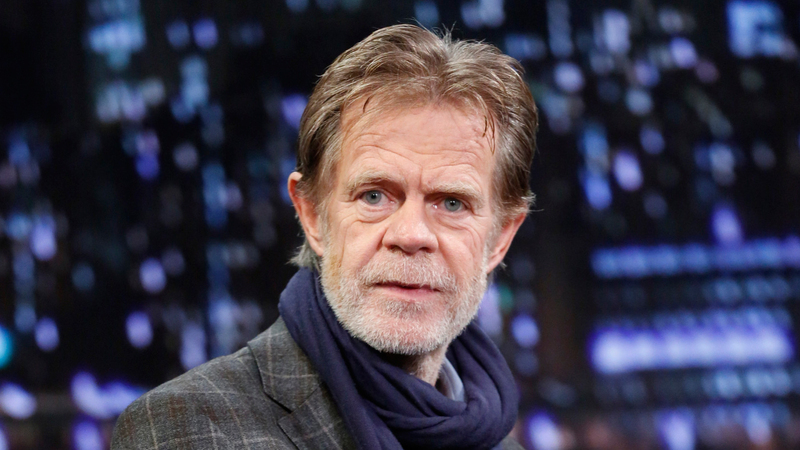 He looked a whole bunch like William H. Macy, and he didn’t say anything mean to me about it. The fight was an HBO fight so the HBO fight team was there. I was 10 percent excited to see sportscaster Jim Lampley, 20 percent excited to see Max Kellerman (I was hoping to ask why he stopped hosting Around the Horn), and one hundred million percent excited to see Roy Jones Jr., one of my five favorite boxers ever and also one of my top 700 rappers ever. I briefly considered the notion of attempting to goad Jones into a fight, because having a story about being beaten up by Jones is definitely worth being beaten up by Jones. I chickened out. Jones is all-the-way intimidating. Maybe you’ll say something like, “He is almost 50, and he was wearing a suit. How can that be scary?” To that I’d say, “The only thing scarier than Roy Jones Jr. is Roy Jones Jr. in a suit, my friend.” My spine is made of cardboard. One more thing about Jones, because I stared at him a bunch before the fight began, especially while the HBO team was filming its prefight commentary. Whenever Jones was not talking, he still held the microphone up to his mouth. It didn’t matter who was talking or for how long they’d been talking; he never moved it away from his mouth. I imagine if I’d asked him about it, he’d have said something like, “Well, if you stay ready, you don’t have to get ready.” I’d have made myself laugh at this, even though I’d have been expecting it, because if Roy Jones Jr. approximates being clever, you need to show appreciation. The fight was promoted, in part, by Oscar De La Hoya’s Golden Boy Promotions. That’s a significant reason why I wanted to go in the first place. There is no shortage of hallowed Mexican boxers. None of them, to my generation anyway, is more admired and more iconic than De La Hoya. I love him. I love him now and I loved him as a kid. I remember pretending to be him both in real life and in video games (I will never forgive EA for not including him in Fight Night Round 2). He was just this cool, ferocious, handsome guy, and there aren’t a bunch of Mexican athletes who are (or, more accurately, who exist that way in American culture). So I was all the way in on De La Hoya. I heard him giving a radio interview a few days before the fight and he said he was going to be there. I’d never seen him in person before. I was excited to see him. When he climbed into the ring as part of the prefight hoopla, I smiled big enough that I felt myself doing it. Having heroes is dope. Kirkland is an exciting fighter (28 of his 32 wins have come by knockout), and he’s from Texas, so that should have meant the crowd would be in his favor. It was not, though. It was super-not. There were about 32,000 people watching the fight. It sounded like eight, maybe nine of them were rooting for Kirkland. Canelo dropped Kirkland in the first round after facing an opening rush. From there it seemed real obvious that the only way the fight was going to end was with Kirkland staring up at the sky. Kirkland bull-charged Canelo, then Canelo measured himself, cocked back, and caught Kirkland right in the jaw. Kirkland’s legs betrayed him, and the whole entire stadium went goddamn nuts. It felt like every time Kirkland managed to ding Canelo in any way, Canelo would respond by taking whatever Kirkland had done and multiplying it back onto him by 200 percent. You could hear the thwapping each time Canelo hit Kirkland. You could literally actually really see Canelo knocking blood out of Kirkland. It was very visceral. It also made me feel bad. Why? Well, every time Canelo hit Kirkland with anything more than a jab (which was often: Canelo landed 79 of 132 power punches), the stadium would howl with excitement, and I can’t even imagine how frustrating that would be. It felt like when you’re hanging out with your friends and someone starts making fun of a guy and then everyone starts laughing at him real hard, only except way worse. It was sad. When Kirkland dropped, Canelo began to celebrate, then realized Kirkland was possibly hurt, then stopped and stood near him to see if he was OK (Kirkland eventually was, at least outwardly so). It was also sad. I didn’t like seeing that part. While I had been standing in line to get into the stadium before the fight, there was a guy selling Canelo headbands for $15. After the fight, as I was walking out, he was still out there, only by then he was selling them for $10. Another guy saddled up near him, listened to him shouting about $10 headbands, then immediately started shouting about buying them from him instead for $5. The headband game is very vicious. Canelo is a marvelous fighter.